After posting last week's photo report of AP's new releases, I realized I forgot to include one of the most impressive watches we were shown! 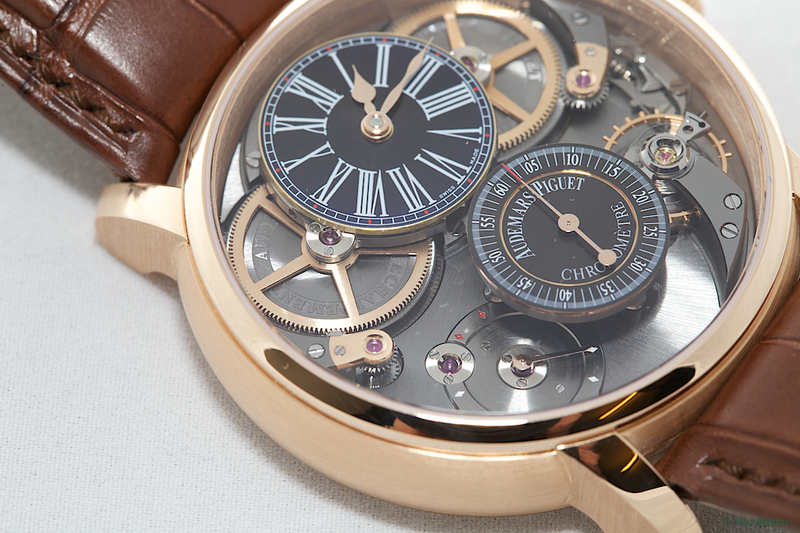 "The watchmakers at Audemars Piguet were inspired by the ingenious Robin escapement designed in 1791 by Robert Robin, a watchmaker to the King of France. The advantages it offered were nearly ideal for chronometry – high efficiency, high accuracy, and an ability to operate without oil. Unfortunately, its main weakness, susceptibility to shock, could not be remedied due to fundamental limitations in technology available at the time. 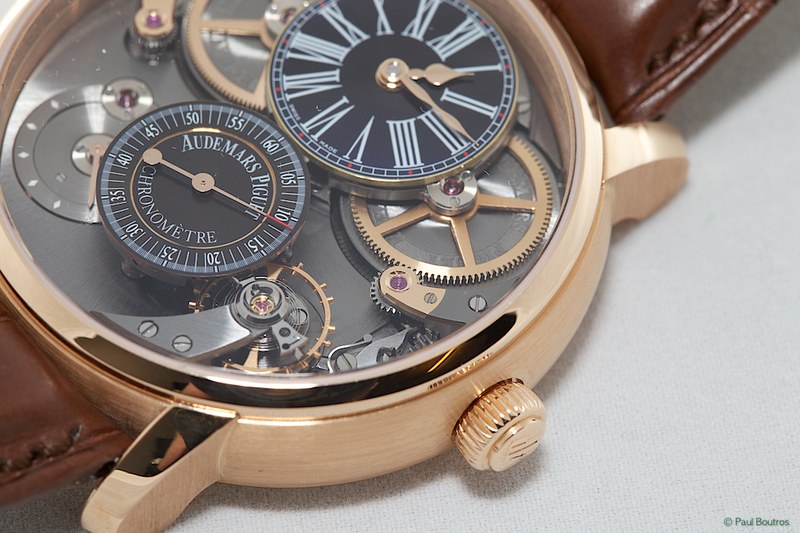 Pushing the envelope of what’s possible, the skilled watchmakers at Audemars Piguet created a revolutionary new escapement with all the advantages of the Robin and none of its weaknesses. 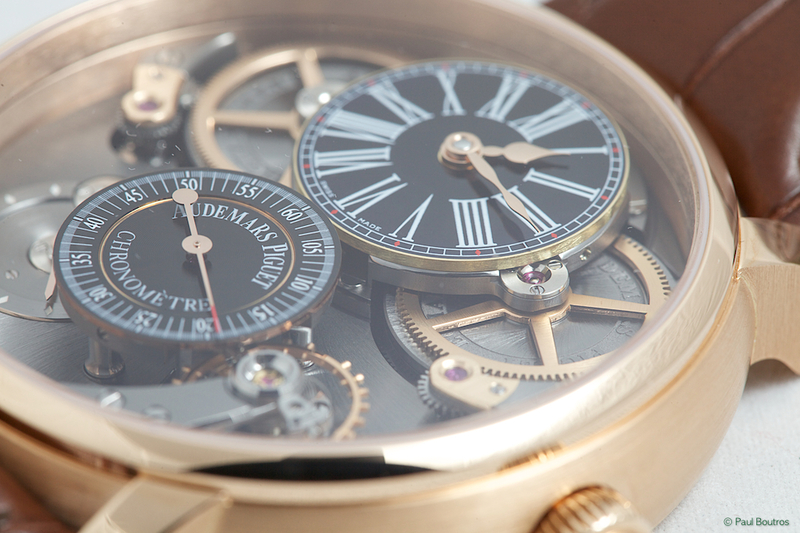 Through several years of exhaustive testing, the "single-beat, direct impulse" Audemars Piguet Escapement has shown unprecedented accuracy in a mechanical wristwatch, proving itself as a true technological breakthrough over the centuries old, traditional Swiss lever escapement". 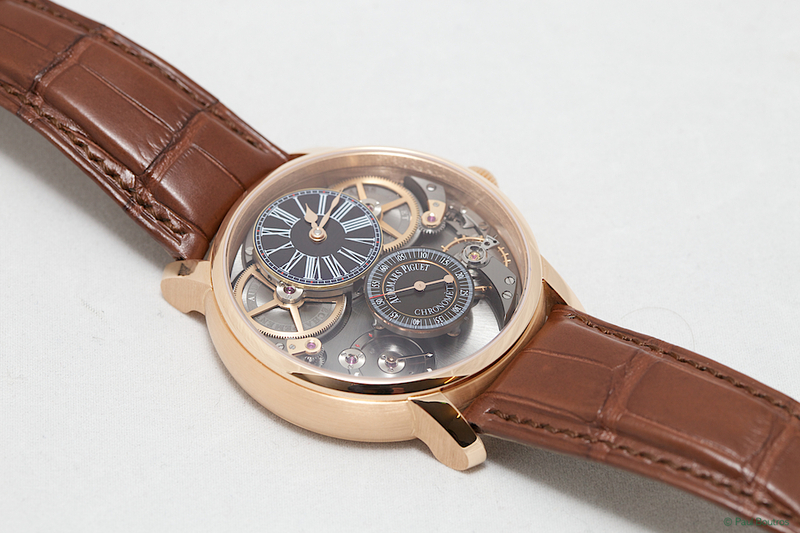 The Jules Audemars watch is an officially certified chronometer, and like the previous watches to use this escapement, is fitted with two hairsprings oriented 180-degrees opposite one another. 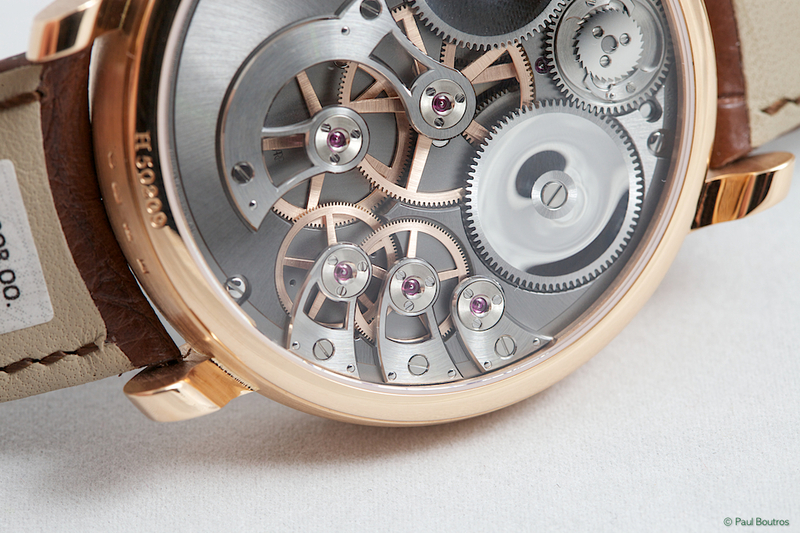 The two-hairspring approach provides better timekeeping results than a single hairspring with Breguet overcoil. 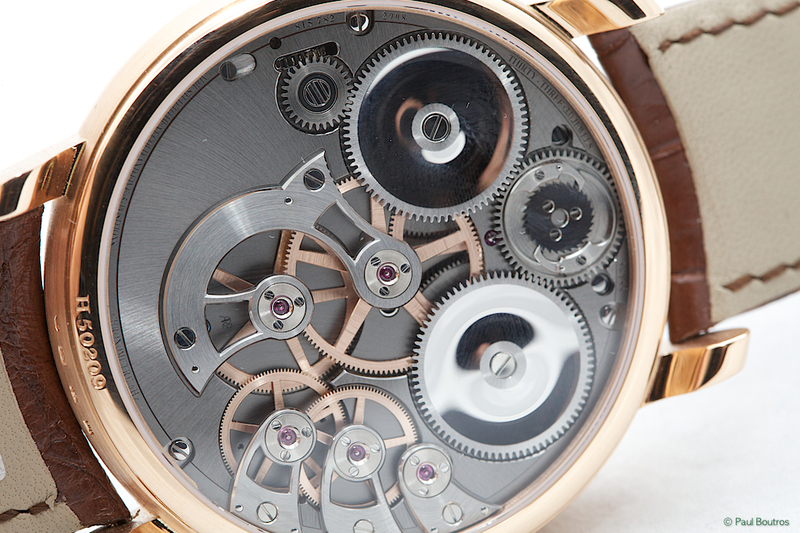 Unlike the first two watches that used this escapement, this version uses a screwed balance wheel instead of a variable-inertia type. When asked why, Giulio responded that the screwed balance allowed for more optimal and easier regulation for accuracy. 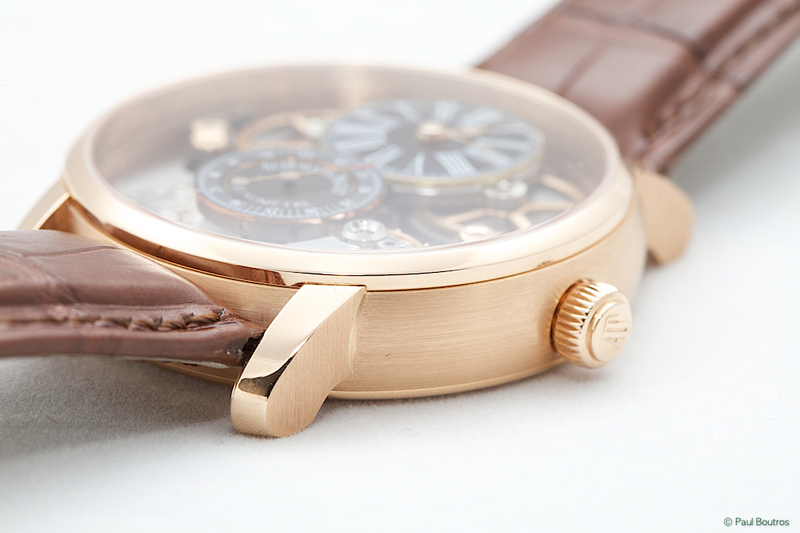 Additionally, the watch beats at a very high rate - 43,200 oscillations per second - to enhance accuracy (in general, the higher the oscillation rate of an escapement, the higher the accuracy of a watch). Giulio shared with us a print-out of the movement's COSC certificate, and without too much regulation effort, the watch had an impressive average rate deviation of just 1.1 sec/day over the course of the 15 day test. Giulio was confident that if more time was spent regulating the watch, the rate performance could be significantly improved. 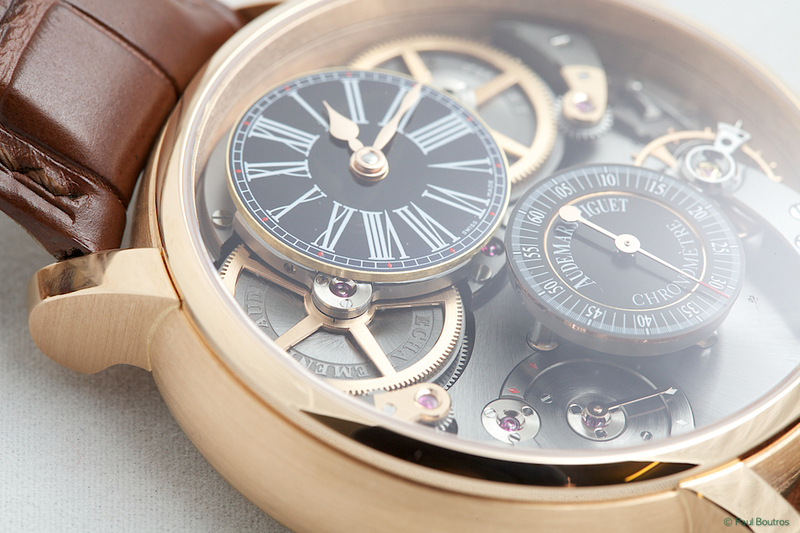 An astute collector among our group asked the following question: "If you had to build the world's most accurate watch for a timekeeping competition, which escapement would you choose (e.g., Swiss lever, Swiss lever with tourbillon, co-axial escapement or the AP Escapement)?" 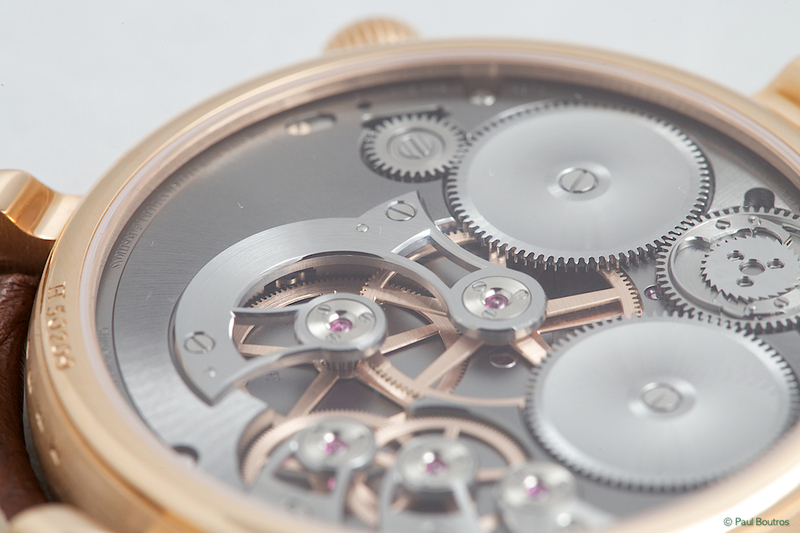 Without hesitation, Giulio responded "the AP escapement, for sure!". I'd love to see such a competition! 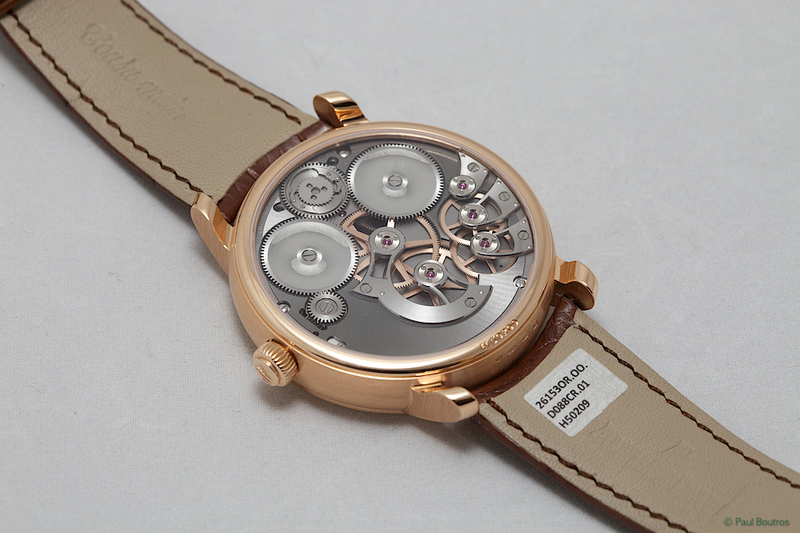 The movement, caliber 2908, has two mainspring barrels providing up to 90-hours of power reserve. 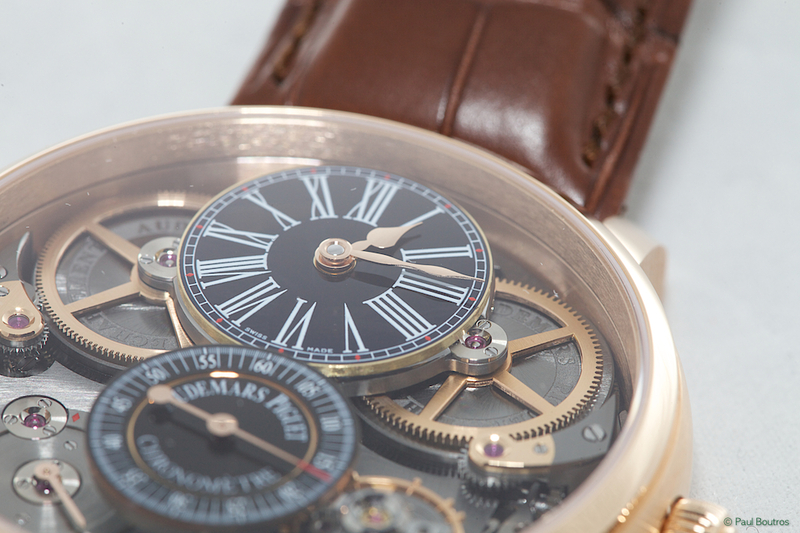 They're clearly visible from the dial side, and as they unwind throughout the day, the embossed inscriptions "Eschappement" and "Audemars Piguet" are cyclically displayed. 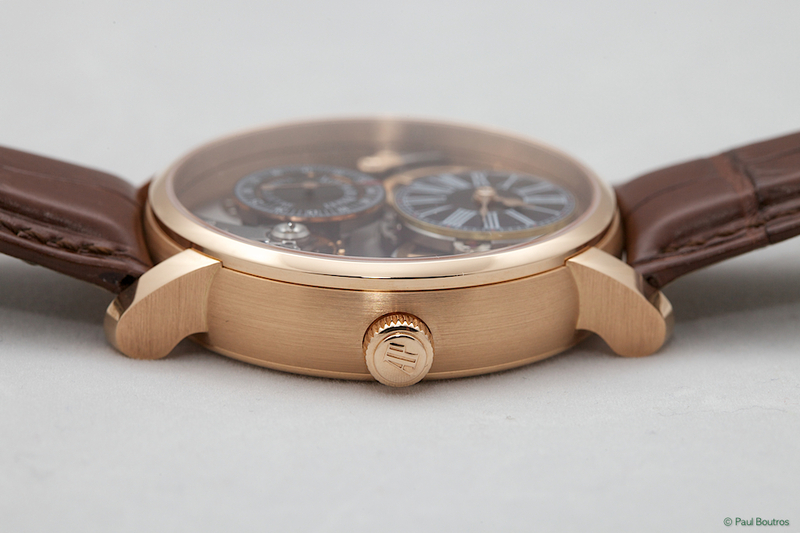 The main timekeeping dial at 12 o'clock is made of true enamel. It's a beautifully open aesthetic with amazing finishing quality...I just wish it had a smaller diameter - the platinum case measures 46 mm!